Can you believe it’s already July? A very short list this week, as it’s a holiday weekend, and I want to go play in the sun! Have a very safe and happy Fourth of July, little bears! Be sure to hydrate and wear sunscreen, no matter where you are! It is the 150th anniversary of Alice in Wonderland, published on July 4, 1865. Here are some of my favorite Alice in Wonderland facts that I learned today at the Morgan Library’s Alice: 150 Years exhibit. The Cheshire cat was possibly inspired by a famous cheese from the Cheshire region of England. It was molded into the shape of a smiling cat, and if served from the tail end of the cheese, it would have slowly disappeared into just a smile. The Dodo, from the Dodo, the Duck, and the Lory, was named after Lewis Carroll himself. He had a stutter and sometimes introduced himself as Charles Dodo-Dodgson. All of the illustrations were produced by John Tenniel, who did not retain copyright over his images – I was shocked when I learned this! Because of this, Lewis Carroll was able to license and market Alice in Wonderland as he saw fit. Other names that Lewis Carroll considered for Alice in Wonderland: Alice’s Time Underground, Alice’s Adventures in Elf-land. 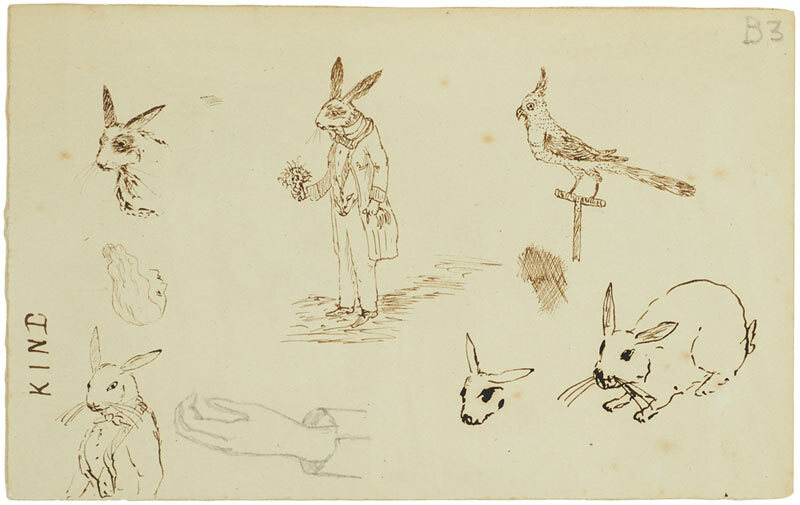 Alice: 150 Years in Wonderland is on view through October 11. If you’re in the area, I’d highly recommend you stop by!